The beginning of the 4th PMI-RMP® online Prep course Oct-Nov 2015 is a fact! 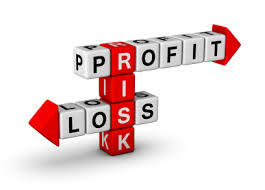 The beginning of the 4th PMI-RMP® – Risk Management Professional online prep course is a fact. 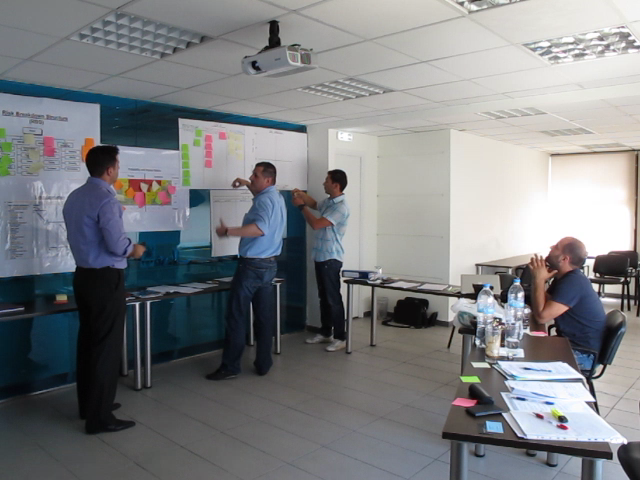 The six participants, located in Doha (Qatar), Nicosia (Cyprus), Bahrain, Humburg (Germany), Thessaloniki (Greece) and Brussels (Belgium), are gaining deep knowledge concerning Risk Management but also are starting to prepare for the PMI-RMP exam according to the PMI® standards. The seminar will be concluded after 10 training sessions through Human Asset’s Group company synchronous training platform. But the preparation and support doesn’t stops here. For the following weeks after the completion of the course, the participants will receive a lot of study material and mock tests through the asynchronous training platform of Human Asset Group Company in order to be successfully prepared for the PMI-RMP exam and acquire the certification. Note: “PMI”, “PMP”, and “PMBOK Guide” are registered marks of the Project Management Institute, Inc. This entry was posted in Courses and tagged Cause-Risk-Effect, Communication, course, courses, Enterprise Environment Factors, Fourtounas, Identify Risks, Διαχείριση Ρισκου, Διακινδύνευση, Ρίσκα, Σεμινάρια, Σεμινάριο, Φουρτούνας, Management, Organizational Process Assets, PMI-RMP, PMP, Procurement, procurements, Project, Qualitative, Quantitative, Risk, Risk Management, Risk Response, Risks, Schedule exam, Seminars, Stakeholders, Tips. In our recent post about “Risks in managing small projects” we watch some tips about managing Risks in small scale projects. But what about large ones? In large scale projects there are a lot of complexities so the below video can provide you with some tips for getting the support and resources you need to succeed. This entry was posted in General and tagged Cause-Risk-Effect, Communication, course, courses, Enterprise Environment Factors, Fourtounas, Human Asset, Identify Risks, Διαχείριση Ρισκου, Διακινδύνευση, Ρίσκα, Σεμινάρια, Σεμινάριο, Φουρτούνας, Management, Organizational Process Assets, PMI-RMP, PMP, Project, Qualitative, Risk, Risk Management, Risk Response, Risks, Seminars, Stakeholders. In small projects you “Do too much in little time so you take too much for granted”. This entry was posted in General and tagged Cause-Risk-Effect, Communication, course, courses, Enterprise Environment Factors, Fourtounas, Human Asset, Identify Risks, Διαχείριση Ρισκου, Διακινδύνευση, Ρίσκα, Σεμινάρια, Σεμινάριο, Φουρτούνας, PMI-RMP, Risk, Risk Management, Risks. 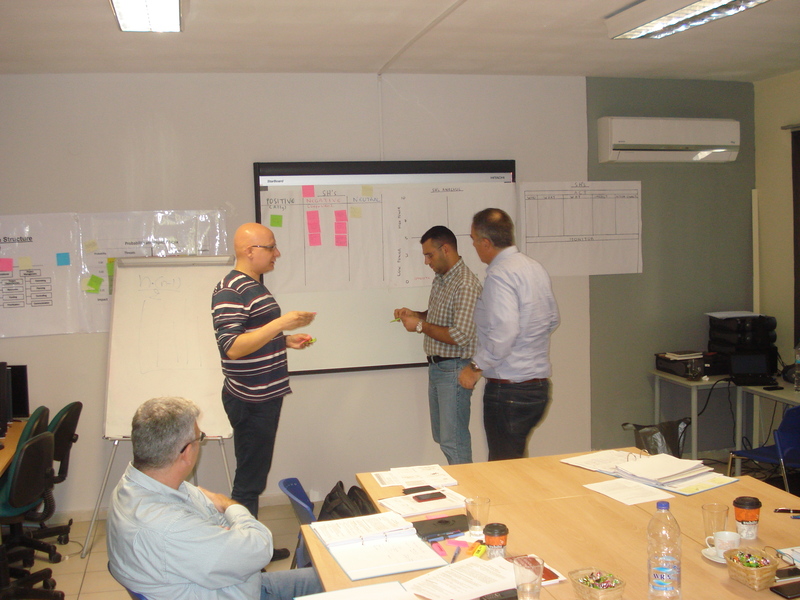 Νέο σεμινάριο “Risk Management in Projects” στις 14 Νοεμβρίου 2015 στην Αθήνα. Το 6ο σεμινάριο “Risk Management in Projects” της Human Asset στις 14 Νοεμβρίου 2015 στην Αθήνα είναι γεγονός. Tο 2015 οι συμμετέχοντες των σεμιναρίων μας Risk Management για την πιστοποίηση PMI-RMP ήδη εργάζονται σε 13 διαφορετικές χώρες ανά την υφήλιο ενώ όσοι έδωσαν τις εξετάσεις απέκτησαν την πιστοποίηση! Ποσοστό επιτυχίας 100%. Το πρόγραμμα προσφέρει 20 PDUs και μπορεί να επιδοτηθεί εξ ολοκλήρου από τον κωδικό ΛΑΕΚ-ΟΑΕΔ ενώ για παλαιότερους συμμετέχοντες σε σεμινάρια της Human Asset γίνονται ειδικές τιμές. This entry was posted in Courses and tagged Cause-Risk-Effect, Communication, Cost reimbursable, course, courses, Fourtounas, Human Asset, Identify Risks, σεμινάριο στην Αθήνα, Διαχείριση Ρισκου, Διακινδύνευση, Ρίσκα, Σεμινάρια, Σεμινάριο, Φουρτούνας, Management, Organizational Process Assets, PMI-RMP, PMP, Qualitative, Quantitative, Quick guide, Risk, Risk Management, Risk Response, Schedule exam, Seminars, Stakeholders, Tips. You have access to hundreds of PDU-earning opportunities ranging from participation on ProjectManagement.com to viewing On-Demand webinars. This entry was posted in General and tagged Communication, course, courses, Fourtounas, free pdu, Human Asset, Identify Risks, Διαχείριση Ρισκου, Διακινδύνευση, Ρίσκα, Σεμινάρια, Σεμινάριο, Φουρτούνας, Organizational Process Assets, PMI-RMP, PMP, Risk, Risk Management, Risk Response, Risks, Schedule exam, Seminars, SH's, Stakeholders. Risk Management Workshop for the Executive MBA 2nd year students of Sheffield University for a 2nd year! Beginning of the 13th PMI-RMP® online Prep course March 2019 is a fact! The 7th online seminar concerning Risk Management starts at 27th of September 2016!